A Brief History Of Writing Materials And Instruments In India. PreVedic Age - According to historians there existed no written languages in India during the PreVedic period. This is confirmed by books like Vishnupurana also. But it is said that the Vedic knowledge existed during this period, which was transferred verbally from Master to the Disciple. Vedic age- This is the period were Vedas were written. Though there are many controversies regarding the age of Vedas, a period accepted by most of the historians is around 3000 BC. Most of the Hindu philosophers also accept this period as Vedic age. The Vedas are written and divided into 4 by Krishna Dwaipayana Vyaasa. Rig Veda is the first written Veda, also this is the oldest literature available to humans at present. Unfortunately there is no clue about the writing material or instrument used. Vyaasa - An Artist’s imagination. Indus valley Civilizations - This is the civilization which was developed along the River Indus and its tributaries developed around 2600 BC. Though many Stone and Rock carvings are obtained which belonged to this period, all of these are still undeciphered. Also nothing like manuscripts or writing instruments were able to be obtained and the mystery continues about writing in this period. The Epic ages - Roughly this age comes after the Vedic age, probably around 1000 – 500 BC. Many important literature works occurred during this period. Two great Epics, Ramayana and Mahabharata were written during this age. Mahabharata with more than 100,000 stanzas is the longest poem of the world. But the bad luck continues- still no manuscript was obtained, nor any writing utensils or materials. But in Mahabharata, there are various situations where some thing is writing on a leaf or cloth and send to be read by other people. Also the names of persons written on arrows. Yet another book written during this age was the “ Ashtadhyayi” by Panini and “ Dharmasutra “ by Vasishta. Though the exact period of Panini is not known, various historians put him from 8 th to 4th century BC. It is a grammar book on Sanskrit language. In various places he is asking the reader to “see” other rules as references indicating that the original form of this was a written thing. Also he uses a word “ Lipikara” Lipi = alphabet Lipikara = Writer. During this age, the usage of ink was there as evidenced by excavations from Takshila. Even a branch of science called ‘ Rasaratnakara’ developed where a recipe for ink was given. It was made from nuts and myrobalan. The word ‘ massi’ was used for ink. The word Massi stands for “ Crushed”. We Keralites still use the word “ Mashi” for ink. The word meaning shows that ink was made by crushing, may be plant or animal origin. The Rasaratnakara also tells us about mixing different types of plants and minerals to get different shades of ink. Some historians says that Wing feathers were used during this time for writing. This is the first time in Indian writing history where the usage of a writing instrument is indicated. 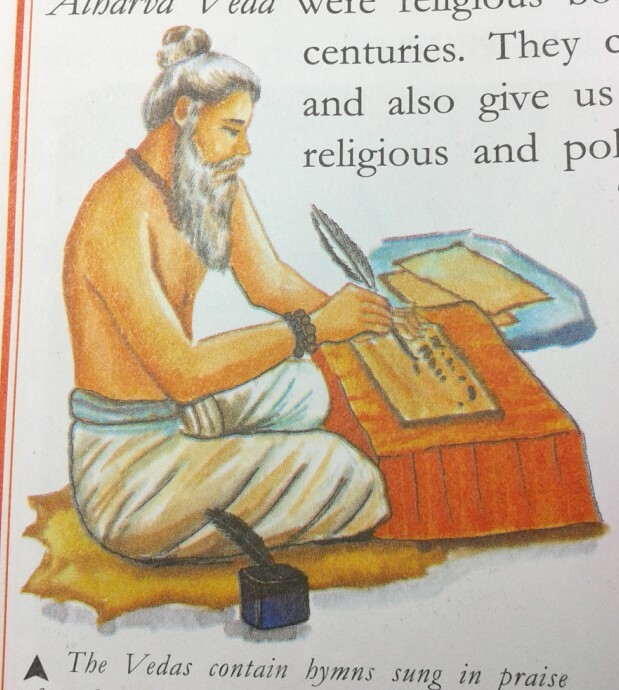 There is also evidence about Indians using Wooden board as writing material. Writing was done with a material similar to chalk called Pandulekha. Nearchos ( 326 BC) admiral of Alexander, have mentioned about Cloth being used as a writing material in India. In Kerala ( where I live) cloth is used till recently by certain group of people as writing material. After this period, the next evidence of writing is identified in 250 BC in Emperor Ashoka’s inscriptions on pillars and stones, called as Ashoka pillars. Megasthanes, who was a Greek ambassador in Pataliputra,India,says about written horoscopes of Indian people. During the later ages, the great Arab scholar Al beruni’s book gives some important informations about Indian writing. (About Bhurj bark) In Northern and central, India, they used a wood called Bhurj for writing. They oil and polish it, to make it hard and smooth. So, what are the materials used in Ancient India for writing? Paper was hardly known in India before 11th century. Before that the main writing material in South India was Palm leaves. ( My mothers horoscope was on palm leaves. It was written on 1950s.) For writing a sharp ended metal piece called Naarayam was used. A type of palm, which grow on coastal Malabar area was famous for this. The leaves are collected, boiled and dried before writing with the Naarayam, which is held with whole palm instead of a tripod grip. In Northern states, where good quality palm leaves were not available, the bark of a tree called Bhurja is used. After Chinese have found the technology of making paper in Ad 700s, it was introduced to India by Arabs. Though reference says that paper industry was already started in a limited amount in India, in Delhi or Lahore,it was probably insignificant. The first real paper industry was developed in Kashmir by Sulthan Sainul Khan, in 1400s. The real high quality paper soon became very famous, so that the demand from rest of India and other parts of the world were difficult to meet. Soon, with rapid demand, other centres also started developing making papers. Important among them were Punjab,Jaunpur, Bihar,Bengal, Ahmedabad,Gujarath and Mysore. Soon Gujarath developed as the largest producer and exporter. In medieval India there were atleast 20 paper making centres. This hand made paper making industry was going in full strength until the early part of 19th century and later started declining. So what writing instrument was used in these papers? In places where bamboo type plants grow, thin reeds about 5 mm diameter were made and tips were sharpened with knife. Bamboo with brushed tips can also be seen in museums. These were dipped in inks made of plant resins with soot or mineral colours for writing. It seems that the ink pot for these inks were made of Brass, which is kept as an antique item in homes and museums. These were called as Kalam Dams. In places were bamboos were not available bird feathers were used as a writing instruments. It seems that a wooden pen nib holder with attached metal nib was introduced in India British East India company, which may be in early part of 20th century. Cheap to obtain, it became a popular writing instrument. For writing different languages like English, Urdu and Hindi different types of nibs were available. Even after the introduction of fountain pen, because of high price , this was the writing instrument for a large mass of Indian people almost till independence. Ink pots were available in office and schools where premade depressions in furniture were made to keep the ink pots. It was during this period that East India Company made a decision not to use Hand made papers in government offices and started using imported machined papers from Britain. At the same time 2-3 paper mills already started functioning in India, which made cheaper paper available in the market. All on a sudden the glamorous profession till now went down to pathetic condition. Going became rough for both people and the industry. Gandhiji understanding the situation,tried to improve this. By this period the Swadeshi movement under his leader ship have already started. To help indigenous industries an All India village Industries Association have started, under the guidance of Sri.Kumarappa. So, what about fountain pens during this period? What I understand is that there were persons ( or agencies?) who bring foreign pens to India, either officially or unofficially. The Hyderabad native, SS Siddiqui, who went to Calcutta in 1920s for pen business, later became agent for Conway Stewart, and started the famous Deccan pens of Hyderabad. Gupta agencies, again based on Calcutta was also importing foreign pens even before this period. While examining the history of Pen hospital, Trissur, the founder KKP Abdulla, got his initial training ( in late 1920 or early 30s) again from Calcutta. So, Calcutta was the India’s major pen hub? In Madras, during late 1920s, MS Cunnan ( pronounced as Kannan), started the pen shop, Gem & Co,which later became authorized representatives of Parker and Waterman in India. After 1925,a few more paper mills started appearing - now there are more than 10 mills functioning in full swing in India with the combined annual production going more than 45000 tons. It seems that India’s writing industry is well responding to Gandhiji’s call for Swadeshi movement. In records, Krishnaveni Ink factory establishedin 1920,by Sambasiva Rao of Madras was the first brand came into life in response to Swadeshi call. So many ink brands, mostly very small units were established in the following years throughout the country. Demands were also raising. 1931- Dandedkar & Co establishes which later becomes Camlin. This company begins production of ink tablets and powders under Horse brand. The year 1932 – Probably the most important event in Indian writing history happened now- In Rajahmundry, “The grandfather of pens” Kosuri Venkat Ratnam makes the first fountain pen of India in silver. When Sri. Kumarappa of All India village Industries Association came to see the work in 1934, he takes one ebonite pen for Gandhiji. And the most important thing, Gandhiji appreciated it very much. What else a pen maker want in his whole life? The year 1933 – Probably this year is also may be very important in Indian writing- The birth of Mahtre pens. They were started as representatives of Eversharp pens in India. But they had no production facilities at present. 1934- Sulekha works Ltd start its operations in ink making. In late 1930s and early 1940s the ink and paper industry of India flourished exponentially due to increased demand during the war, this also resulted in birth of many new brands. 1940 – Yet another important year. The birth of Balkrishna pens and Dhiraj pens. There is a beautiful article written by Purvi Sanghvi, about these. This was a combined effort of two brothers- Sri. Dwarakadas Sanghvi and Sri. Vallabhdas sanghvi. So who made India’s second pen? I think that credit goes to these people, Sanghvi brothers. Mahtre have n’t started their own production facilities ( as far as my knowledge goes). Mahtre start first brand Plato, in 1950 only. During this period Swan and Black bird birds were very available as I interviewed my grand pa and ma. I had to go a little crazy over this and started interviewing neighbor hood grand pas and mas and later all the old people of the village started hiding them selves on seeing my face. All of them started to write with dip pen which they call as steel pen. Most of them know two types of ink. One coming in bottle, other as tablets. Most of them were using tablets as other was expensive. As they upgraded to fountain pen, most of them started with a Black bird or a Swan pen. All of them have not heard about Ever sharp. One of them used a Parker as step up from dip pens. The bottled ink was a Swan or any “local” manufacturer. So when did Mahtre started representing Swan pens? This remains as a mystery. Any way the pens were marketed more aggressively than Eversharp. Continuing with Balkrishna and Dhiraj pens, initially they started with Wilson branded pens. They became huge success. Soon they started – around 1945- President brand, which also was a huge success. Then they started Olympic brand- but it seems that this brand was not that much heard about later. I think that this group had still some other “ unknown” brands. A Wilson 45 ( from 60s). Olympic Pen- A Vacumatic look alike – I do not have original cap – so using Vacumatic’s.. Though initially there was overlap, later Balkrishna pens started producing only Wilson brand and Dhiraj pens, produced President. 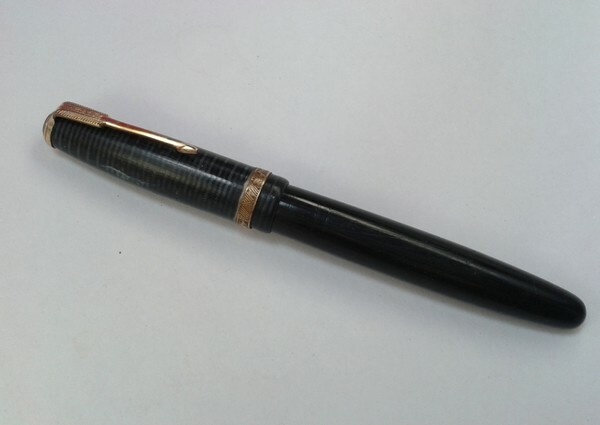 1946 – Guider pens started in this year by Mr. G.Subbarao, they still have antique celluloid rods for making pens. !947 – Everlast pens – an American brand was introduced in Madras by a local agency. Later this brand was introduced in Calcutta, Delhi and major cities. It seems that though initially pens were imported directly from USA, later local production started here either with the knowledge of original company or unknowingly. 1950s- By this time there are more than 100 ink brands in India. Also in early 1950s, may be in 1951 itself, the Japanese giant Pilot and the American giant Parker started their ink manufacturing plants in India. I am not sure when this have started. Having head office in Bombay, but I suspect that they started some where in Gujarath. Only thing I can say is that they have registered the trade mark of “Champion brand” in 1958- but that does not mean that the company have started in 1958. The company may have started may be around early 1950s- but correct me if I am wrong. They had at least 3 brands of pens. President, Ashok and Service. Of these President was the flag ship brand, but Ashok was immensely popular. But do not be confused, there is one more Ashoka ( Ashoka, not Ashok). This was a smaller company from Andhra Pradesh and only made hand made pens unlike Gujarath Ind. These Ashokas were more popular in Kerala. ( I can tell that there are people who still enquire about Ashoka, to whom we may make pen “ like Ashoka” ). 1950 – Kim& Co at Calicut came into existence. As detailed article already exists, readers are referred to there. 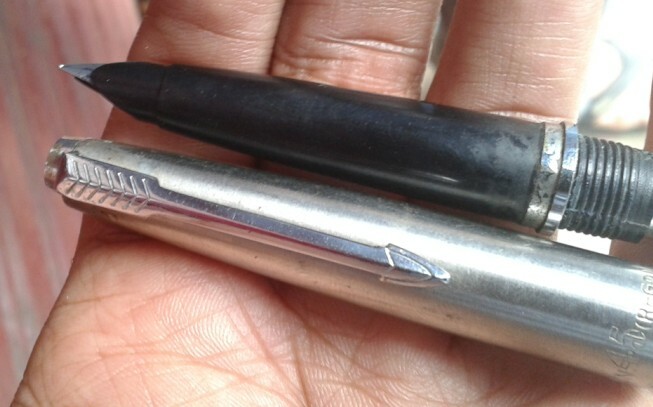 Probably the first India’s first “manufactured” pen produced by Mahtre under the brand name Plato in this year – 1950. Started in the year 1933, this company made some important contributions to Indian pen industry. It represented Ever sharp in India for decades and later in 1958 it started the brand “ Doric” under Eversharp licence. This firm also had their own brands like “Writer” and “Clipper”. It have represented also companies like Swan and Waterman. During early 1960s they have started making pens for Waterman and Swan under their license for marketing in India. The original Mahtre company although wound up in 80s, the company exist as Ravlon pen company at present with Ravindra N Mhatre as Chairman & Managing Director They are the makers and exporters of ball pen tips. They are the largest makers of ball pen tips in India and also the only exporters of the same. 1951 – Airmail Wality company established. 1953 or earlier – Chelpark Ink company established. There is a well written article about Parker pen company and Chellaram family in India, for starting ink manufacturing. Though parker have started it operations early 1950s, the exact time of deal between Mr. Byford of Parker and Chellaram family is not clear. Chelpark Company came into life atleast in 1953. Mr. Byford of Parker joined parker company of Britain in 1946, working for overseas operations including Africa, and Chellaram had business in same region from 1943 onwards and bought Parker products from him for marketing there. Though Chelpark exists almost no more as a ink manufacturer, the group still exists as Chellsons exports and Chellsons Packaging Pvt ltd, exporting stationary items. 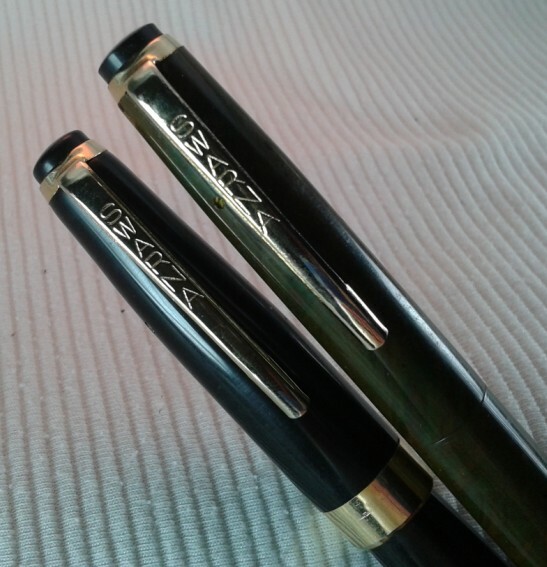 Late 1950s - Deccan pens started making pens under their own brand. In 1960s, many companies came into existence- notable among them where Mercury pens, Ambitious pens, Ritesharp pens, Chandra pens, Sulekha pens, Matharu pens, Camlin pens , Artist pens and Wimco pens. 1963 - Artist pens, which started their operations in 1963, later became Luxor pens. 1964 – BRIL inks (Industrial Research Corporation) came into existence. In 1960s MS Pandurangan have started Ranga Pen company, producing hand made pens,which later developed in to the single brand having the most international collaborations than any other similar firm. 1965- Ambitious Gold Nib manufacturing company started. This company caters the OEM needs of many fountain pen brands of the world from at least 1980s onwards. The company is having ( or had) collaborations with Parker, Sheaffer, Pilot, FaberCastle, Zenith(Poland), Styb(Spain), Viva and many more. 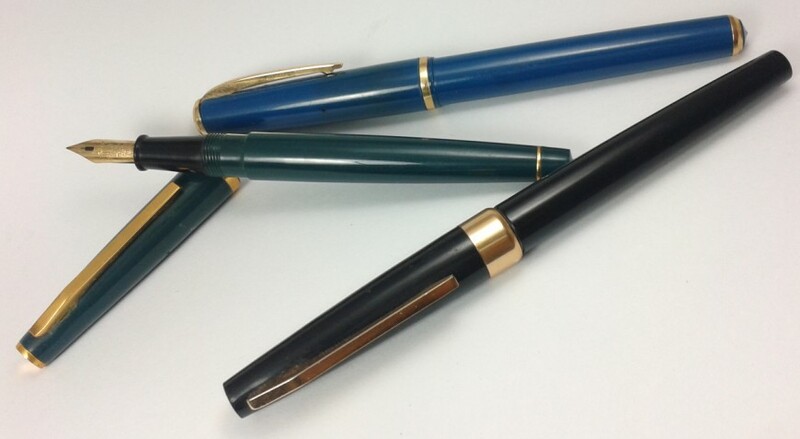 Camlin started making fountain pens from mid 1960s. Higher quality products with competitive pricing made them very popular for next 2 decades. This company also meets the OEM needs of major brands and export them to different countries. Nibs for higher models are made by Ambitious. On or before 1953 Pilot have established Pilot Pen Co ( India)LTD, and started ink manufacturing. During or after 1959, Pilot have started manufacturing pens. It became a huge success. It belonged to the Super series – though not exact copies of their Japanese counter part- Super 1,2 and 3. Also pilot G series with gold nib. During this period Calicut pen people have contacted the company for making hand made ebonite pens for them, they also made a few ebonite pens as samples using Pilot clips and nibs, but the venture did not worke out well. The models made by Pilot were very popular and affordable. Probably after 70 or 80s I would like to call writing instruments industry as modern. The industry pattern have changed. Companies have changed. And the customers requirements also changed. Now there is more demand for ball pens. Among the notable brands from the past, only Balkrishna ( Wilson)have survived the test of time. The hand made pen industry, though surviving, is going through a rough time.It is to be noted that Wilson branded jotter pens very popular now. From 1980s onwards the industry begins to shift from the hands of small unorganized players to bigger companies. Many companies wanted to make alliance with world’s leading brandsto conquer the market. Probably the first move in this direction was made by Luxor, by entering in to an agreement with Pilot to launch Pilot pens in India in 1982. Chandra pens have started marketing Cross ball pens. Cross ,already having a good brand image in India became a huge success, selling more than 100,000 units in the first year itself. Ambitious pen companies talks with Parker and Cross went unsuccessful for a joint venture. Parker began to look for other suitable partner which they found on Luxor.Meanwhile Flair bought Pierre Cardin, Senator and Pentel to Indian market and Linc pen bought Uniball, Lamy and Bensia. Started in 1963, Luxor started marketing Pilot pens in 1982. In 1996, Luxor group company and Gillete group entered into a 50:50 venture for production and marketing of Parker, Waterman and Papermate brands in India. This have helped Luxor to strengthen its market position. In late 2000, Gillete sold its Stationary product business to Newell Rubbermade, along with the 50% stake in this joint venture. Later Luxor group bought out the rest of the stake from Rubbermaid, retaining its right to manufacture, market and sell Parker, Waterman and Papermate products in India. ( Sanford does not have any stakes in Luxor now). Still there are companies I do not mention which includes Cello ( 40 % of stake is with BIC, I think Cello is the number 1 brand at present),Reynolds under GM pen International ( still under Sanfords) Today’s, Montex ( another company which concentrates in export market meeting the OEM demands of various brands)Lexi and Pik and probably numerous others. I know that many other small firms that make hand turned pens have been omitted. A place called Thiruvalloor, of Chennai , was just like a pen making centre where there were many small firms making ebonite rods and Ebonite pens. Most of them have closed, but still some exist. They do not want to brand themselves . When they get clips named Swarna, that batch of pens becomes “Swarna”. But the same batch of clips when supplied by the clip company to some other similar firm in Andhra Pradesh, that batch also becomes “ Swarna”!. Now we have 2 different pens with the same name! But most of the time get clips with out name- that’s our luck. In Chathoor,( Chennai state) nibs are still being made as hand made items. In Thanjavoor , specialist calligraphic nib grindrers were shut down, who used to custom modify nibs. Though the firm have been restarted, they have not come up yet. That on Left is made by makers at Chennai, while right by makers at Andhra. Original article written for the book “ Kozhikkodinte Charitram” ( History of Calicut) in Malayalam language. Briefed, translated and edited for FPN by my wife’s brother Nighil Mohan ( mohan in FPN). Edited by wimg, 07 January 2015 - 01:40. One Day I'll Grow Up Like My Master. And thank you for an interesting read! It is great to get perspectives from around the world and especially from places where, I believe, fountain pens are still very much in use but 'the ordinary person'. Thanks Sree Kumar for this wonderful post. This is truly a great read about the history of writing in India! Thanks for sharing! Fantastic post. Now I know where my gorgeous miniature 'Champion' pens come from. Thank you very much for this contribution to our Indian pen knowledge. Thanks Sree for the sharing. Very informative. Thank you for this informative and useful post. Thank you, Sree for the interesting, and most informative, post. Thank you, pilotynk for having ressuscitated it. Thank you a lot of research must have gone into that. Oh I have commented once: thanks again though! Edited by matteob, 25 June 2017 - 06:01. Thanks a lot for a very informative post! Thanks for the interesting and informative post.